Alquiler de Autocaravanas 5 Personas Automática en Australia. 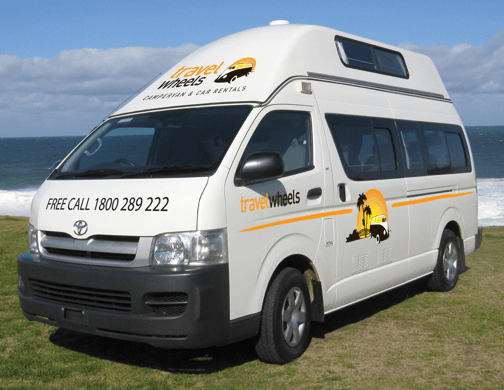 Give us a call on 0412766616 for our lowest rates on Automatic campervan hire! First of all, our Alquiler de Autocaravanas 5 Personas Automática has plenty of space for up to five people. It has a larger fridge, more space in the lounge and by the way the beds are bigger too! 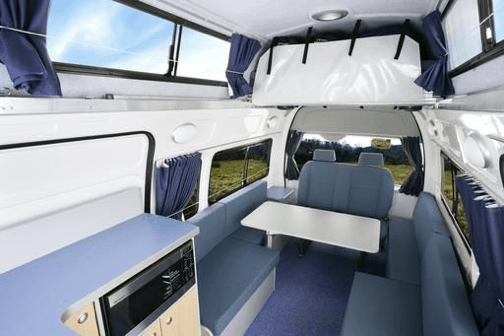 Take a look inside our 5 person automatic campervan, and you will be surprised how many features we have squeezed into our automatic campervans. These Alquiler de Autocaravanas 5 Personas Automática vans have a great kitchen and living area. 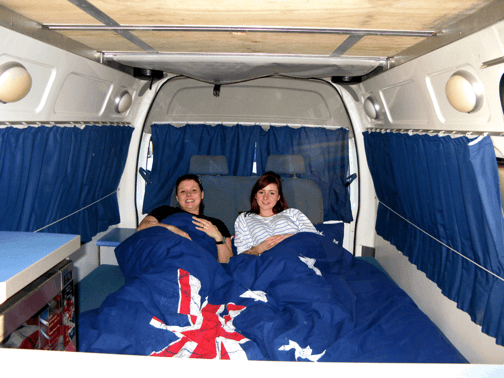 For instance you will notice they have more head and leg room inside these campervans. 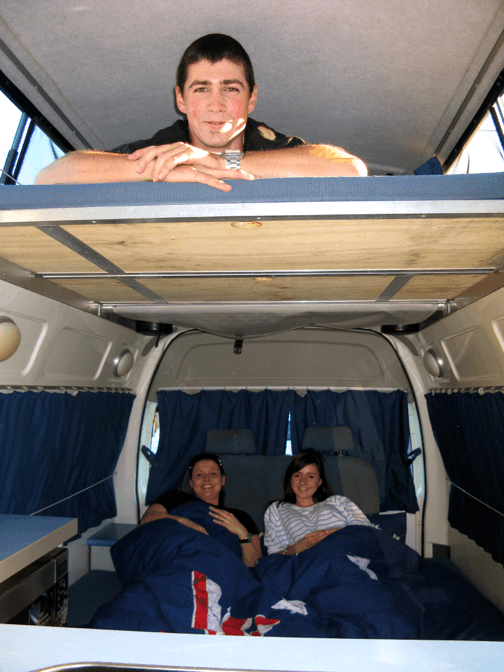 Coupled with the comfy layout means you will enjoy your campervan hire holiday with Travelwheels. For example check out the video below of our 5 Person automatic campervan. 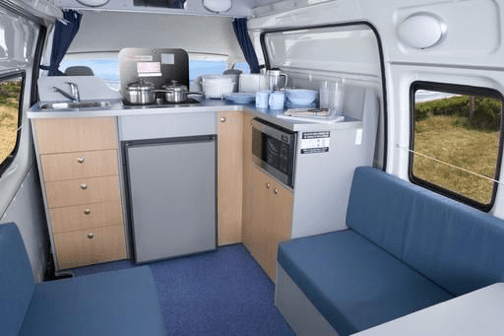 You will see the great kitchen layout and just how much room we have inside this campervan. Alquiler de Autocaravanas 5 Personas Automática – large double bed for good night sleep! 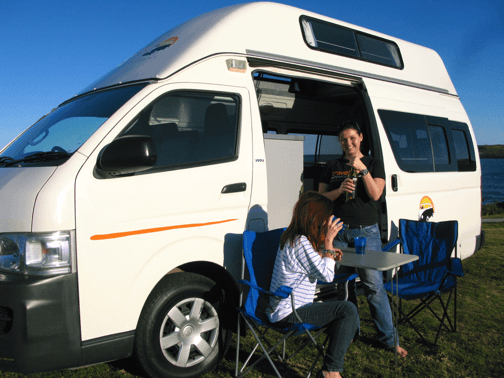 Are you looking for Alquiler de Autocaravanas 5 Personas Automática in Australia? In this case, then give our campervan hire team a call on 0412766616 for our latest specials! 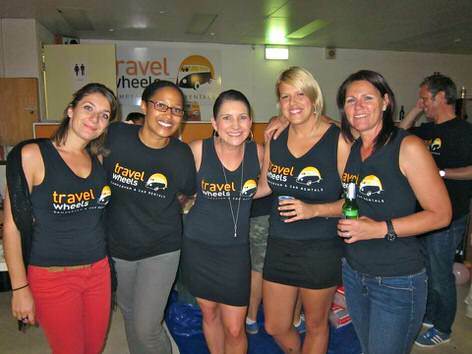 We speak Spanish and we price match on all Sydney campervan hire deals! 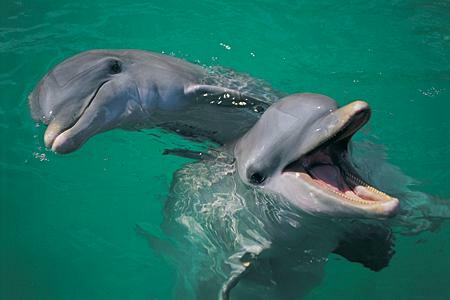 Therefore give us a call or enter your dates into our campervan hire Australia price comparison checker. Alquiler de Autocaravanas 5 Personas Automática + Large fridge and more room inside! Alquiler de Autocaravanas 5 Personas Automática + 2 Double beds! 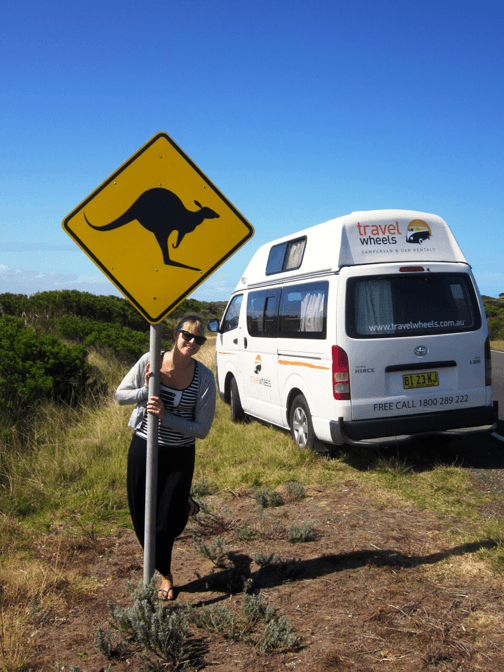 The Alquiler de Autocaravanas 5 Personas Automática is Travelwheels Campervan Hire Australia largest model we rent in Australia. It’s very good value for money, fun to drive and plenty of space for families or a group of up to 5 friends.